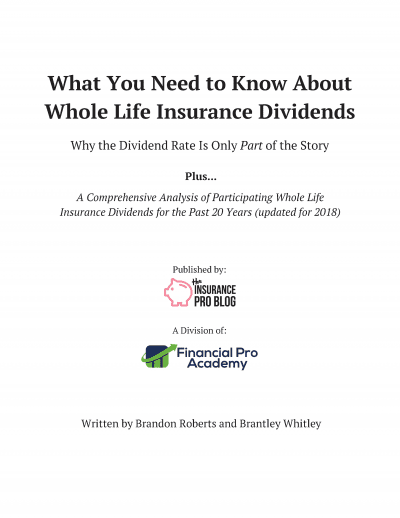 Would You Like to Pull Back the Curtain on Whole Life Insurance Dividends? CNBC Likes Thinks Life Insurance Works for Reti rement Income? We are specialists on the topic of highly over-funded cash value life insurance as an asset class for your portfolio. Our methods are designed to protect your financial interests and help your portfolio remain market neutral. We are on a mission to pull back the curtain on this highly coveted strategy and assist our clients design and implement their very own plan. The second part of our mission is to explore the "what-ifs?" inside the world of personal finance, and to help you build a stronger plan for the future. A plan that helps you maximize your total economic benefit given the resources you have at your disposal. We consult with people all over the country and we'd love the opportunity to assist you. Why Life Insurance? Couldn't I Do Better? Probably, anything is possible. But no savings vehicle has been able to rival the risk adjusted rate of return offered by permanent participating cash value life insurance. It's an extremely stable financial product that has been tested for well over a century. On top of that, other savings vehicles do not have the leverage-able power of policy loans and continued dividend payment. What's the “Best” Policy to Use? How Come Most "financial experts" Hate Life Insurance? We've seen all the other so-called "experts" with different opinions, we respectfully disagree, and have yet to encounter someone who–after carefully reviewing the facts–continues to side with the big name TV personalities. Bashing life insurance makes for good TV and radio because life insurance is more complex than dropping all your money into index funds. It really is a shame that most self-proclaimed experts choose to continue their ignorance. Annuity Buyers Can Do Better But Should They? Enter Your Email Address Below & We'll Send Your Report, Now!